With our prompt emergency service you can have one of our expert technicians at your home in no time who will get your heating system up and running. We don’t want you to have to spend a single night without heat. 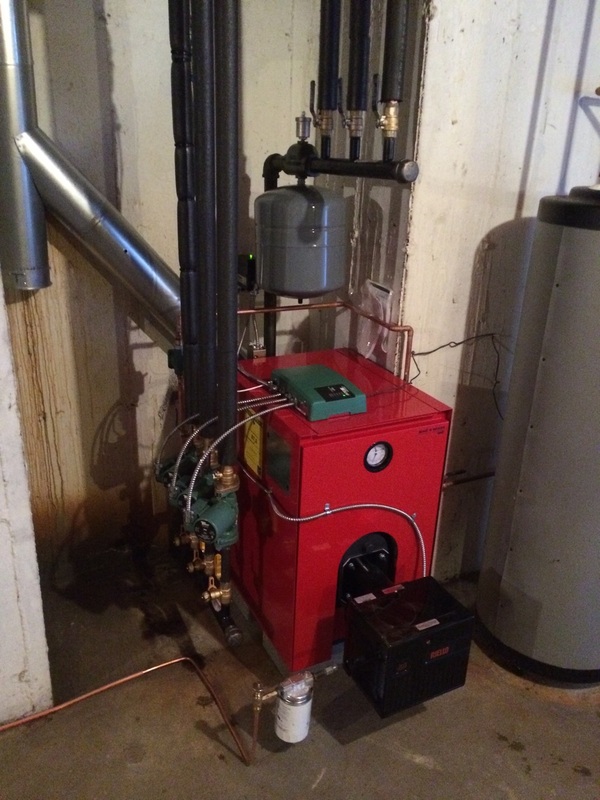 Questions about heating oil or oil heat furnaces? Give us a call at (631) 878-2356, and expect honest, straightforward answers. What are the advantages of oil heat? Is it better than gas? Oil heating fuel is now among the cleanest heating fuels available. It is by far the safest type of heating, environmentally friendly, and dependable. You may be surprised to learn that oil heat is more efficient than gas, and that oil heat can be considerably cleaner. Heating oil burns an average of 16% more efficiently than gas, which means you use less fuel and get more heat. Newer oil furnaces have an average life expectancy of 15-20 years longer than a gas furnace. What’s more, modern oil burners produce significantly less U.S. particulate emissions each year. That means when you heat your home with oil, you are reducing your carbon footprint. Hot water heaters fueled by oil have a recovery rate that is twice as fast as a gas heater, which adds value to your home, while increasing efficiency. Need your tank filled? We deliver premium grade petroleum home heating oils. Schedule an appointment for heating oil delivery by giving us a call at (631) 878-2356. If you prefer to sign up for automatic delivery, just call us for a one-time set up. There is no extra charge, and you’ll never again have to worry about running out of heating oil. Delivery hours are Mon-Fri 9am – 5pm. Special deliveries are also done on the weekend. If you unexpectedly run out of oil, please call (631) 878-2356, and we will refill your tank as quickly as possible. Are all heating oil companies basically the same? We like to think we’re different. We are completely dedicated to customer satisfaction. It’s our goal to make heating your home easy for you, something you think about once, make an informed decision, and have total peace of mind that your heating needs will always be taken care of. We’ll be there for you no matter the weather, every time. Our team is friendly, educated, and here for you, and our product line is among the best in the industry. We can support your heating and air conditioning needs better than any other oil company. We have the best equipment options, financing, payment plans, and maintenance contracts, all geared towards saving you energy and money, while keeping you comfortable. Should I get a service plan? lf you pay for service as you go, you never know when you’ll be faced with a big repair bill. Customers who have no repairs one year may need several the following year. Our Service Plans eliminate these ups and downs and give you the comfort of knowing we’ll be there whenever you have a problem. In short, a service plan is a great way to save money and have year around peace of mind.